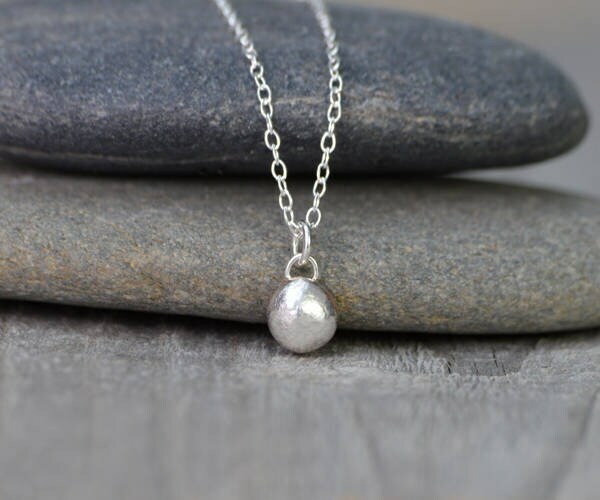 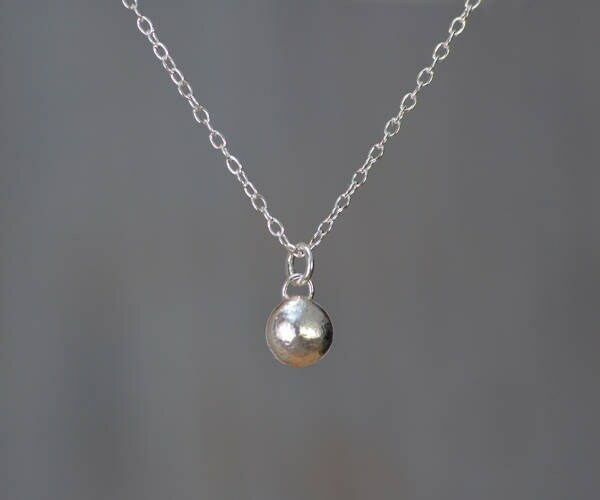 This silver pebble necklace is handmade at my studio in the UK and is ready to ship. 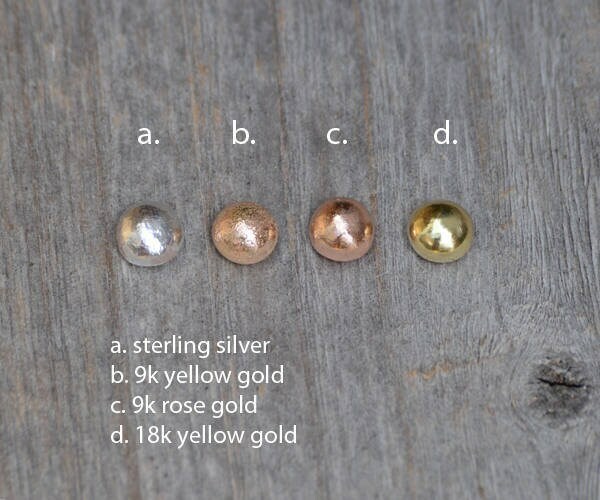 The pebble is available in 9k yellow gold, 9k rose gold or 18k yellow gold, please choose from drop down menu. 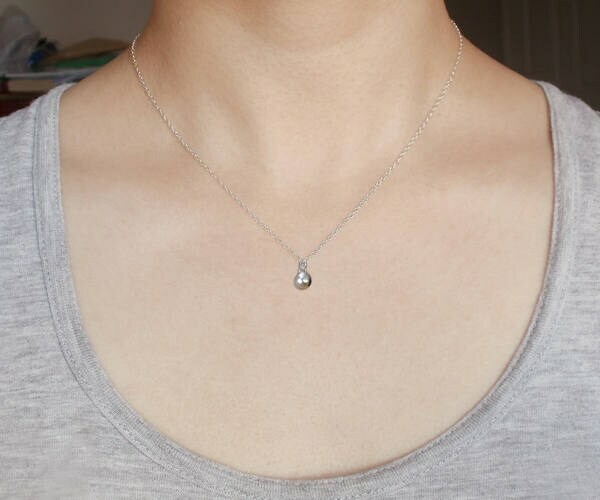 All solid materials, not plated. 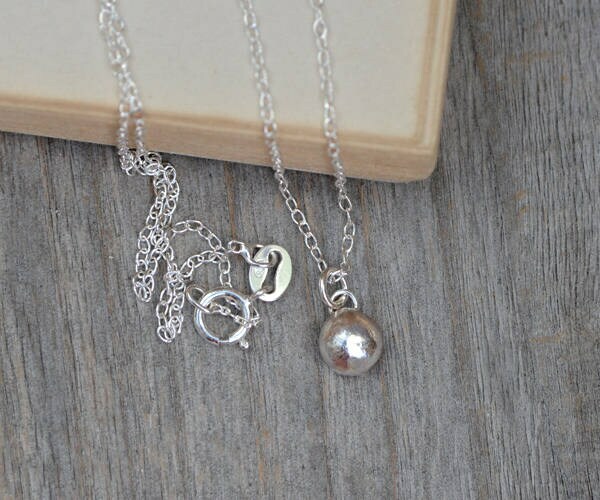 Length of necklace: adjustable, could be worn as 16", 18", or 20"